I have recently reviewed two different strategic card games (Lords of War and Pixel Tactics) and so when I noticed Terrene Odyssey on Kickstarter it just seemed natural to feature it on my blog and see if I could interview the designer. Terrene Odyssey has some really unique and cool gaming elements. One thing that I particularly like is the fact that from your 30 card deck, you get to start by choosing 4 characters, 4 items/commands, and 1 terrain card. This way each player has 9 cards already in play and the players can quickly get to the action. 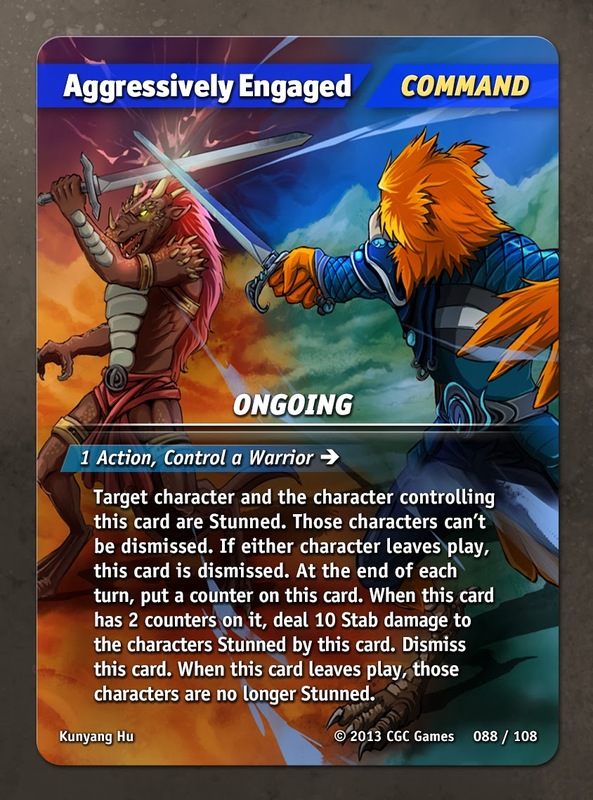 The terrain cards, tokens, and the ability to level-up characters are just a few other cool things of note. Enjoy the interview I had with Chris to learn a little more about the game and its designer and then head on over to the Kickstarter page to find out more! Tell us about yourself using 10 or less single descriptive words. Game Designer. Tournament Organizer. Competitive Gamer. Life long gamer. 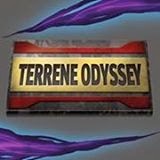 How did Terrene Odyssey come about? Or in other words tell us the origin story of Terrene Odyssey. It started with a conversation I had with my friend. We missed the old TCG days when we used to play Yu-Gi-Oh! and Magic: The Gathering. Unfortunately, maintaining a presence in those communities became too expensive of a hobby and we dropped out. We asked ourselves, what is it that we really liked about those games? It boiled down to big combats and deductibility of the player’s options. From these ideas I began to develop Terrene Odyssey which makes a strong point to immediately highlight both of those mechanics. For you, what is the most important game element in any game (artwork, theme, player interaction, balance, luck, strategic game play, etc.)? Player Interaction: Player vs. Player psychology. In order for the player’s to feel like they are fighting each other as opposed to simply playing the game well, a player’s need to make decisions based on deducing the other player’s needs and wants. Terrene Odyssey has finite hidden information for this reason. This is how I made Terrene Odyssey feel like true a battle. On top of this we chose the art direction, and theme of the game and we also worked the amount of luck we want in the game on top of the that. What are the big highlights of Terrene Odyssey? The core mechanic of Terrene Odyssey is the Starting Party Composition. Players can choose 4 characters, assign them Items / Commands, and pick a Terrain all on turn 0 of the game. 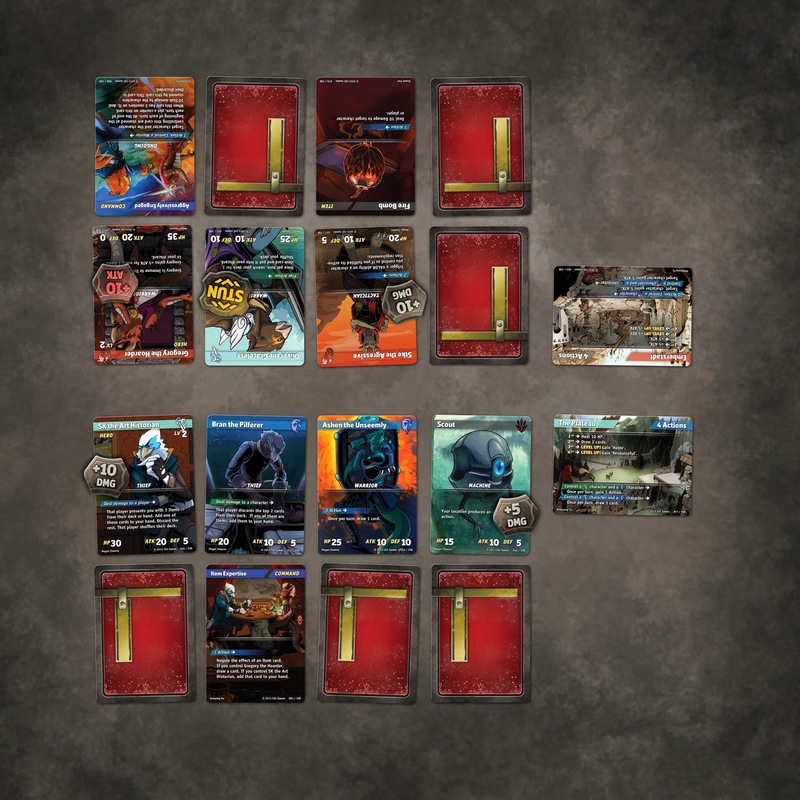 The game begins with these cards hidden and are revealed over the course of the game. This lets the game jump straight into an intense battle but also keeps your opponent guessing on what your overall strategy will be. This original mechanic will keep even the 20th game of Terrene Odyssey from the same 30 card deck fresh and interesting. I'm a big fan of 2 player games. Besides Terrene Odyssey of course, what is your favorite game when playing with just 2 players? Super Smash Bros. Is this cheating since it’s a video game? I love Smash Bros, because it is the embodiment of excellent design and no one knows it to the point that the internet argues “Is this a fighting game or not?” The designer was very clever at making easy controls, and adding party elements but yet, designing a deep combat system deep inside. They simply never tell you about it. They let you discover it after the casual features bring you in. Discovering those features feels great and you feel like you are ‘above the game’ or that you’re ‘breaking the game’ when really it’s part of its design. I am very impressed with the artwork and layout of the cards. The artwork or overall visual appeal can really make or break games. Tell us a little about the artist and idea behind the art. When Terrene Odyssey was ready to be themed, we first chose the ‘random encounter of an RPG’. We didn’t want to to go with the gritty look and we didn’t want to use a traditional fantasy theme. Those areas felt over saturated to me and I wanted Terrene Odyssey to stand out. We decided to re-imagine races in our world. We wanted it to feel like a JRPG without going too much into the anime side. We ended up with Terrene Odyssey. Megan Cheever was chosen as the game’s lead artist. She did early pieces and worked with the other artists to unify the art as much as possible. When an art style was too different but still ‘close’, we used different styles for cards that would suit that artists’ flair the best. For example, Rob Joseph’s character designs are very aggressive so we made it a point to have him draw the strongest characters in the game. There are other small details in the art direction some players may notice such as hidden assassin characters in the backgrounds of other cards. Players might even find a small narrative in the art direction. 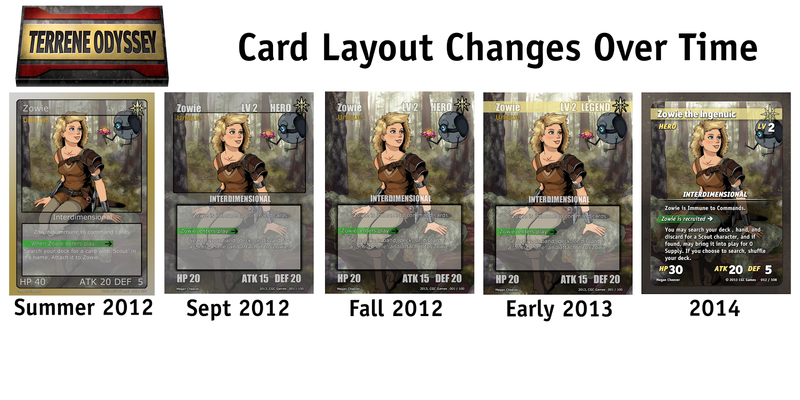 The card layout has evolved massively. We knew from day 1 that we wanted to show as much art as possible. We experimented a few times before we found what worked for us. The border of a card used to tell you what kind of card it was. We cut the border and communicated the game information with the character’s name banner. We also used color to communicate Trigger ability speeds and reduce text. In a way we used colors the same way most other games would use symbols. I guess you can say we are big on visual communication. OK, so this isn't the first time you presented the game for funding. Why are you going to be successful this go around? Last time we had a huge problem with our name Terreria Tactics. Unfortunately, there is a popular Steam game called Terraria and if you googled Terreria Tactics it would say, “Did you mean Terraria?”. We we’re not searchable and that really hurt our campaign. Now we are Terrene Odyssey, our game is asset ready and extremely well received. We expect a burst in pledges once our review copies get out there as well. The final challenge we face is that this is our first game. First-time published designers always have this hurdle to overcome. Haha yes, Skylar the Determined does resemble me. When I was describing what Skylar should be like, Megan thought I was being vain when really it is the kind of person I have always aimed to be, even as a child. I guess I’m flattered Megan saw it that way and took it to the next level so the character actually resembled me. So I guess I would be Skylar the Determined - He’s full of unpredictability and is all about tricking your opponent into certain behaviors. What sort of replayability does Terrene Odyssey have when just considering a single VS deck? The beauty of Terrene Odyssey is that from the same 30 card deck, you have a ton of flexibility in how your game’s will play out because you can choose your starting party of characters. You can choose nearly any set of cards from your deck to start the game with and just changing one from your Starting Party Composition can change the entire dynamics of the game. You’ll find yourself changing your party based on your opponent quite often. You’ll also find yourself revealing different parts of your party at different times based on your opponent’s behavior (all games begin with the starting cards hidden and the player can choose when to recruit their characters). In play testing, I have been issuing the same deck to 1st time players and I have never seen it played the same way. If you could have a famous person (living or dead) play your game, who would you choose? Living! I’d be honored to have David Sirlin play my game. He’s the designer of Yomi and I agree strongly with his design philosophies. Batman! Though can I say Ironman? I have about 100+ tabletop games and 300+ video games. I even play games I may not like just to explore unique design spaces. I live for gaming! Favorite book, movie, and ice cream? My favorite movies are Pacific Rim and Inception. Ice cream? World Class Chocolate. Favorite book? Hmm, does reddit count? 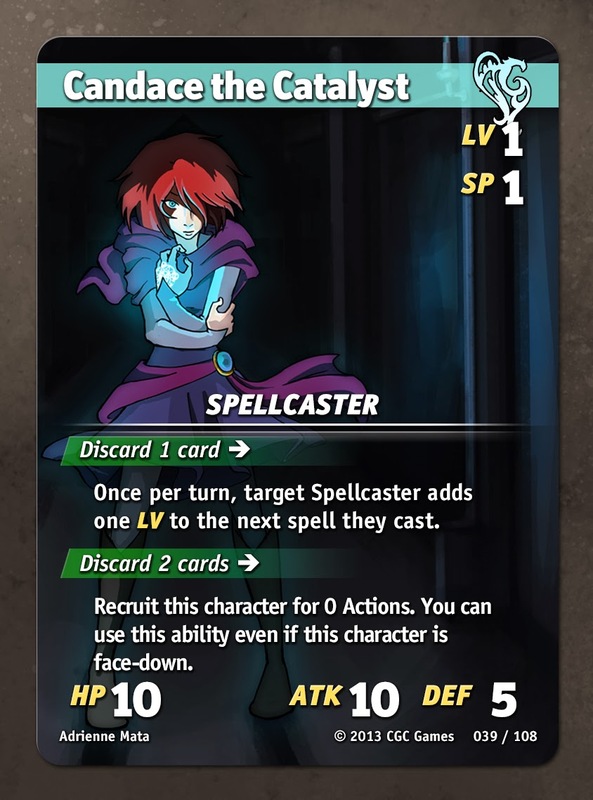 Favorite deck from Terrene Odyssey? My favorite VS Deck from Terrene Odyssey is Jin’s. Terrene Odyssey is a skirmish game and the resource curve for the most part is static. Jin the Ambitious works well with Machine class characters that are able to create a secondary resource in the game called Energy. 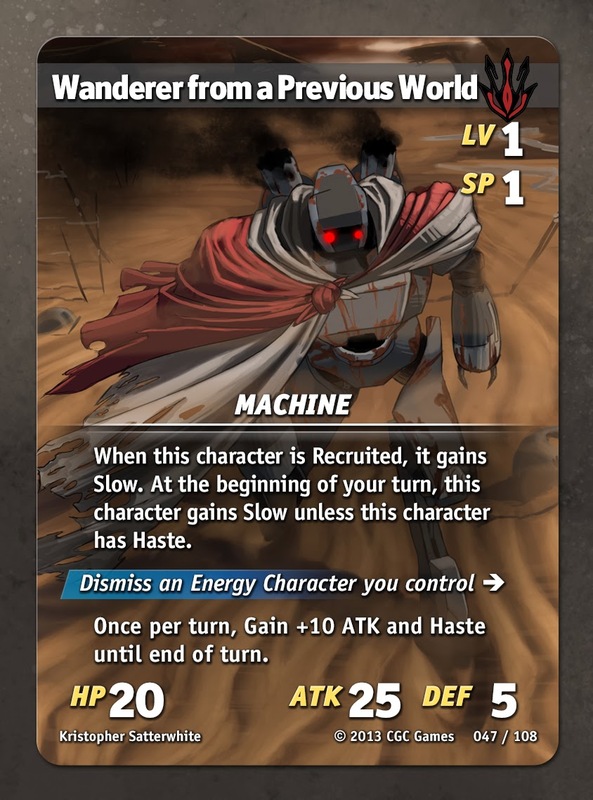 You can use energy on your machines to break the game’s resource curve, use powerful machine abilities, or you can simply attack with your energy to create free DEF decay. It’s very much a slow to start utility kinda build. Two ending scenarios. Funded or not funded. Tell us what's next for Terrene Odyssey given each scenario and what's next for Chris Solis? If Terrene Odyssey is funded, my dream will be realized. Since we’re asset ready, this will basically go to the printers within the month. I hope to have the game out there by the summer time. In the event we are not funded, I will try again a few months down the line and try to figure out what is holding Terrene Odyssey back. I know this is a game people enjoy and my greatest challenge is getting people to take a look at a first time designer. Closing remarks time! Anything else that you would like us to know? Thank you for the interview! If you want to support Terrene Odyssey, check us out on Kickstarter. Also, follow me on Facebook and Twitter. I reply to all messages. Let’s get a conversation going! Thank you Chris. I really hope that you can get the funding necessary to produce this game and make your dream a reality. 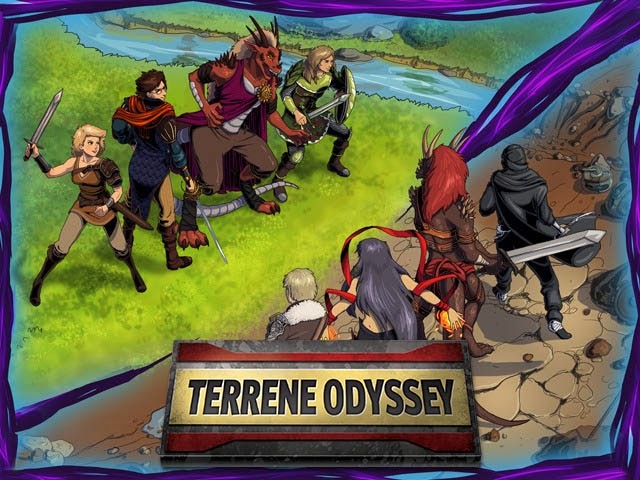 If Terrene Odyssey looks like a game you would be interested in, head over to Kickstarter now. There are many different pledge options to choose from and lots more information to be had. This looks like a fun one to me and that is How Lou Sees It.